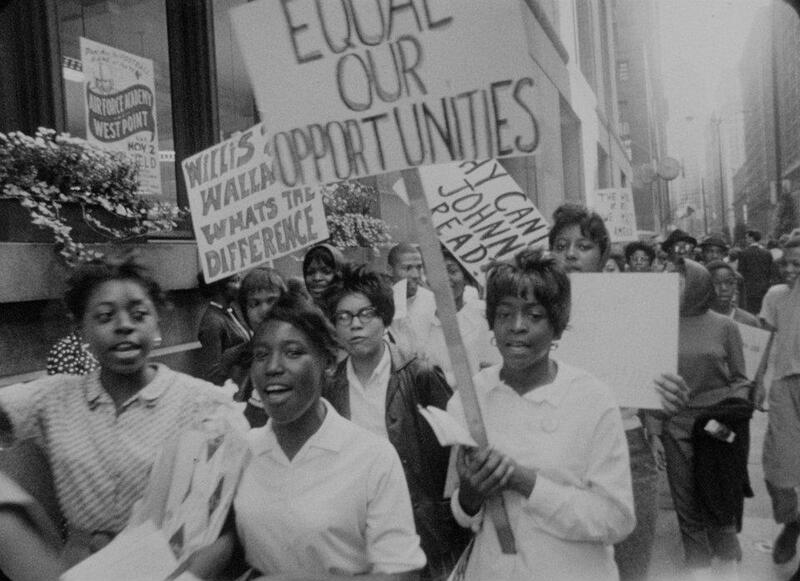 Kartemquin and The Black Cinema House will partner on "Chicago: Segregated City", a screening and discussion of three of our classic films about race in Chicago, along with an exclusive sneak preview of 63 Boycott, our in-progress film about the 1963 boycott of Chicago Public Schools by thousands of African American parents and students. The films will screen on December 17th, 6pm at the Chicago Public Library’s Greater Grand Crossing branch at 73rd and Ellis. Filmmakers Gordon Quinn, Peter Kuttner, and other members of Kartemquin will be present for a discussion moderated by the Chicago Reader‘s Steve Bogira. Fittingly, December 17th is also the deadline for application to our Diverse Voices in Docs Program. UE/Wells follows an organizing drive by the United Electrical Workers Union at the Wells Foundry in Chicago. The multi-ethnic work force of Polish, Arab, Jewish, Hispanic and African American men and women unite together despite the company’s efforts to use race as a wedge to divide them. Gang members, Vietnam vets, and young factory workers from Chicago’s neighborhoods tell of their personal experience with racism—who gets hurt and who profits. 63 Boycott chronicles the Chicago School boycott of 1963 when more than 200,000 Chicagoans, mostly CPS students, marched to protest the segregationist policies of CPS Superintendent Benjamin Willis, who placed aluminum mobile school units on vacant lots as a permanent solution to overcrowding in black schools. This is a free public screening, and there’s no way to reserve a seat, so make sure to get there early! Questions? Email info@kartemquin.com or blackcinemahouse [at] rebuild-foundation.org. This is the second collaboration between Kartemquin and Black Cinema House Director Michael W. Phillips, Jr (named the city's best repertory programmer by The Chicago Reader in 2011), following 2011's unique screening of Kartemquin's The Last Pullman Car (1983) inside the grounds of Historic Pullman, where it was originally filmed.